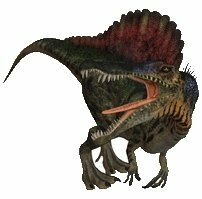 The Spinosaurus! 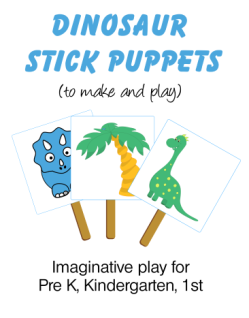 Are your kids ready to learn more about the biggest carnivorous dinosaur of them all? This scary dinosaur really could grow into the largest carnivore of them all. You pronounce their name 'spin-oh-sore-us'. 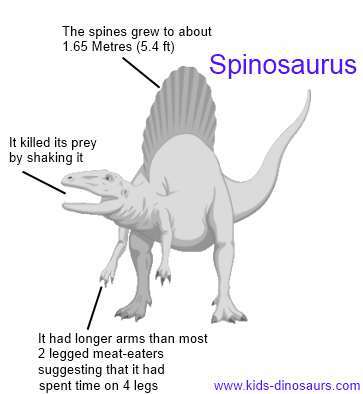 The meaning of Spinosaurus is 'Spine Lizard'. They were the largest carnivorous dinosaur. They lived in the Cretaceous Period. They weighed up to 20 tons (about 3 elephants!). King of the meat eaters, it is believed they ate fish, and lived on both land and water (like a crocodile). They are the only true aquatic swimming dinosaur! 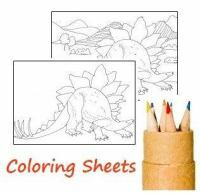 They lived in the Cretaceous period with all sorts of other huge Cretaceous dinos including the T. Rex and Albertosaurus. Its classification is Saurischia (lizard hips). 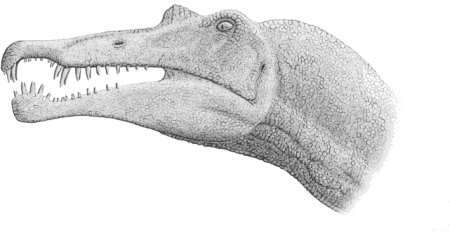 The Spinosaurus had powerful jaws with straight teeth. Most other meat eating dinosaurs have curved teeth. Scientists thinks this means they would shake their prey to tear off pieces. This dino had an amazing sail coming out of its back. The sail was made from spike shaped bones, joined together by a layer of skin. Scientists are not sure what the sail was for. It may have been used to control its body temperature. By turning the sail to the sun it could have warmed its blood faster than other cold-blooded reptiles. 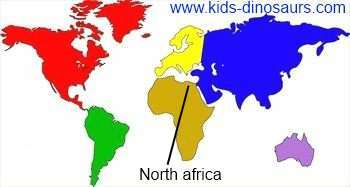 Skeletons have been found in North Africa. 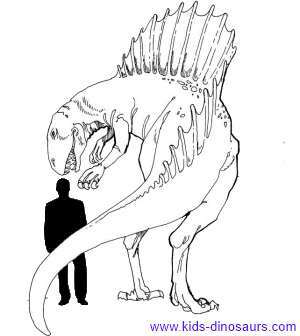 There is still a lot of discussion among scientist about the true size of this huge dinosaur, as lots of estimates have to be made. Current figures say they weigh around 7000kg-20900kg (7 to 20.9 tons) and could grow 12.6 to 18 metres (41 to 59 feet) long. The skull alone was 1.75 meters long (5.7 feet). So how does this massive dinosaur compare to the Tyrannosaurus Rex in size? You can see that it could grow much bigger than a T. Rex. There were also a lot of other big dinosaurs around at the time - including the Giganotosaurus.